An easy, half day, circular walk with fabulous views of the area in any weather. Either a 1 and a ½ mile walk to Seatoller or open top bus ride then a scenic walk along the fell to Grange, where you can take refreshment before rambling back along the rivers edge to Rosthwaite. Seatoller is a settlement in Borrowdale in the English Lake District. It lies on the B5289 road at the east foot of the Honister Pass, and to the south of Derwent Water. Seatoller was the destination of a regular walkers bus in the 1960s and 70s, and is still as popular now. Grange, often called Grange in Borrowdale, is a village in Borrowdale. 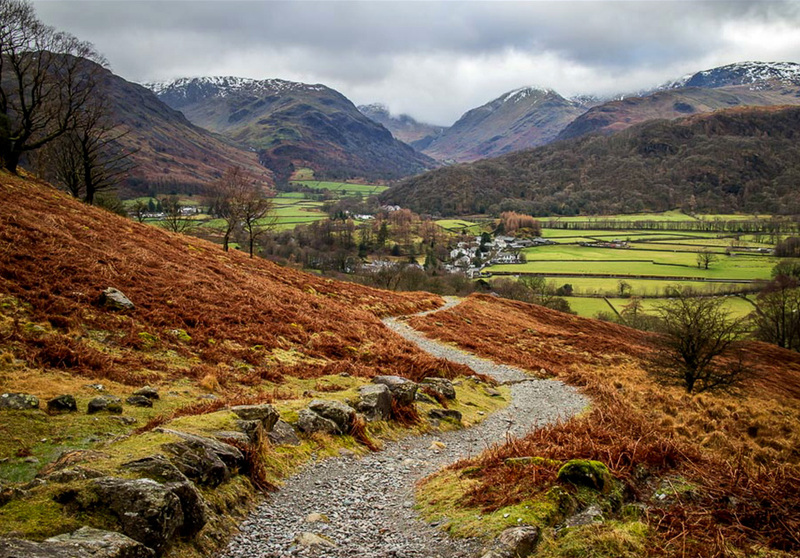 The village is overlooked by Grange Fell and Castle Crag, which flank either side of the narrow section of Borrowdale in which it sits.